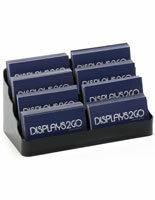 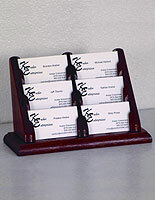 This business card dispenser w/ (6) pockets holds personalized business contact information. 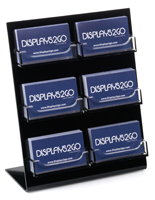 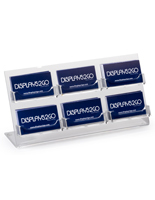 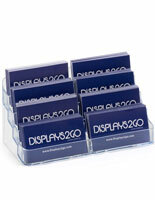 Place one of these displays on your office desk, so visitors will see it and take your info with them. 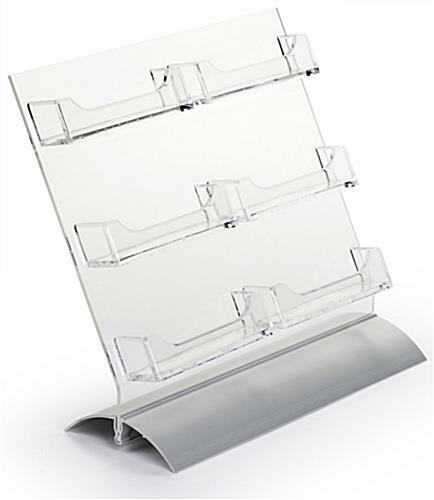 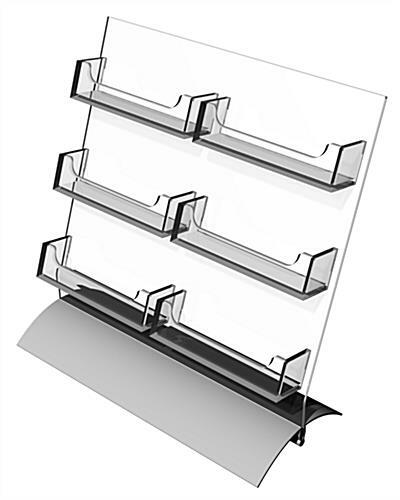 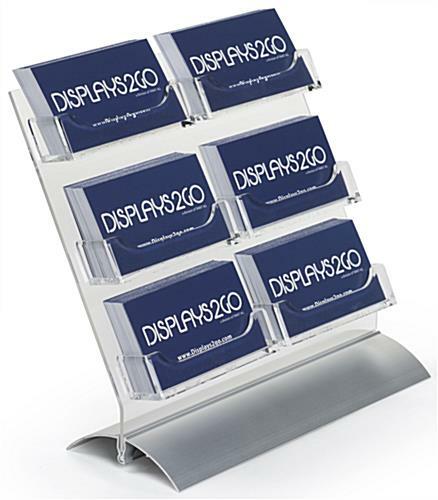 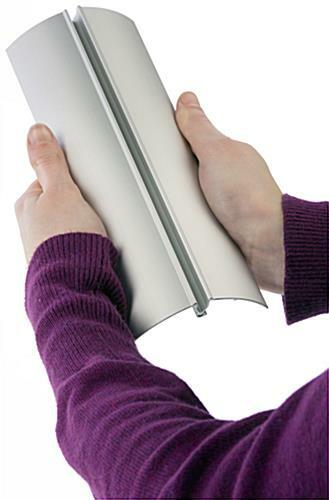 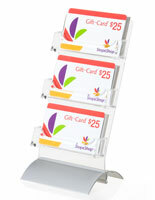 This card dispenser w/ (6) pockets has an aluminum snap-in base and a clear acrylic body. 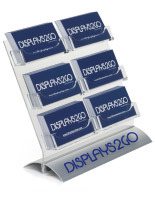 This inexpensive fixture is a must-have for quality promotions on the cheap. 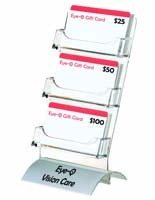 This dispenser w/ (6) pockets, also known as a gift certificate holder, can be used in a multitude of ways to distribute commercial or personal information.